Whooping cough, or pertussis, is a serious problem worldwide. In its most severe form, whooping cough can lead to complications such as pneumonia, exhaustion, and death. Infants less than three months old are most at risk for severe illness, and they are most likely to contract pertussis from a caregiver. The CDC estimates there are 16 million worldwide cases of whooping cough each year, as well as 195,000 related deaths. The US has seen steady increases in whooping cough rates since the early 1980s, with 32,000 cases of this highly contagious bacterial illness reported in 2014. Infants less than one-year-old have historically represented the most cases, but in recent years, the cases of whooping cough in adolescents and young adults in the US are increasing. With high vaccination rates in the United States (87.6% for teens in 2014), why is whooping cough on the rise? According to a study in the Journal of Pediatrics, the answer may lie in the vaccine itself. 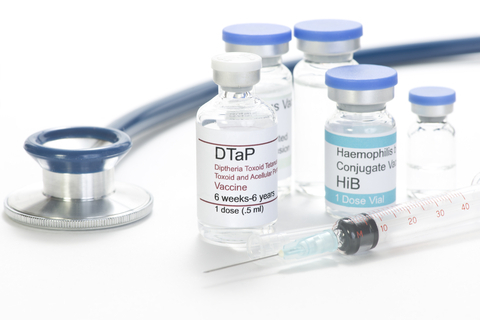 Also Read: Is The Whooping Cough (Pertussis) Vaccine Effective Enough? Whooping cough was described as early as the 16th century; however, the causative agent, Bordetella pertussis, was not isolated until 1906. Whooping cough was common in the early decades of the twentieth century, with peak US infection rates of 227,000 in the year 1938. It causes coughing spasms followed by a sharp intake of air with the characteristic “whoop” sound and it was a leading cause of childhood mortality. Click here to listen to the cough.